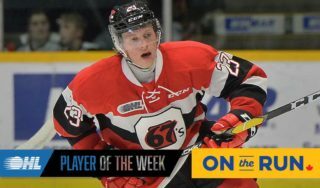 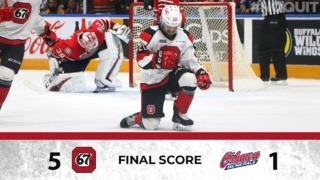 The Ottawa 67’s scripted a tale of perseverance on Sunday at TD Place. 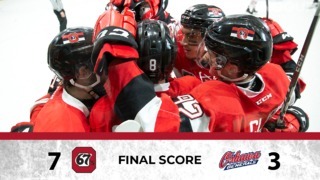 Down 4-1 in the middle period, they staged a gutsy comeback to tie the North Bay Battalion in the third, only to fall behind again. 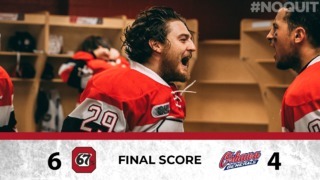 But the 67’s lifted themselves off the canvas, got a late tying goal from associate captain Brendan Bell, who’s on fire lately, and eventually beat the Battalion 6-5 in an exciting shootout in front of 3,695 fans at TD Place.